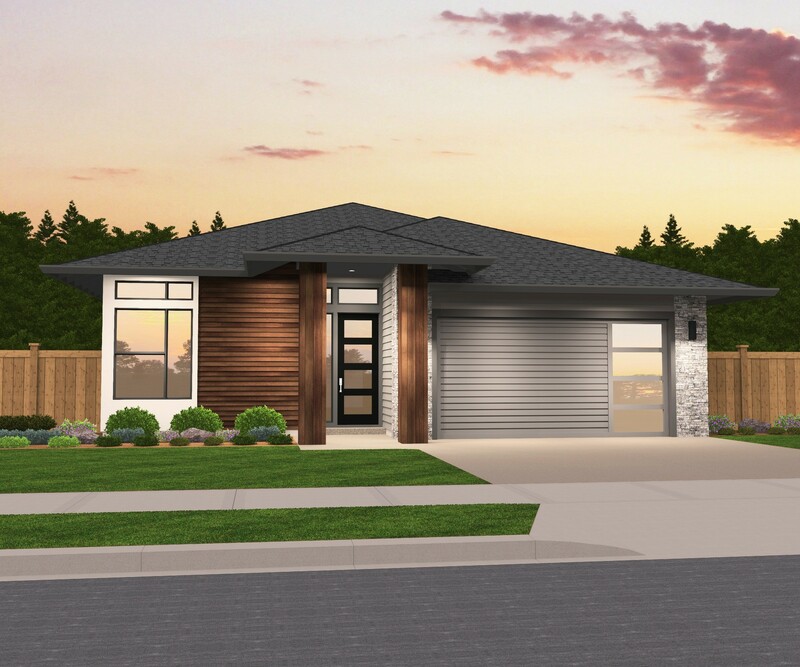 Modern House Plan combined with a hip roof and natural materials evocative to the Pacific Northwest make this a unique, yet inviting design. Inside the home are two bedrooms and a luxurious Master Suite with a large walk-in closet, side by side sinks, shower and deluxe soaking tub. The living space is an open concept design featuring a gourmet L shaped kitchen with pantry, an inviting Great Room, Nook and a spacious outdoor covered patio. This single story modern house plan is thoughtfully designed for efficiency of space while preserving style and comfort. 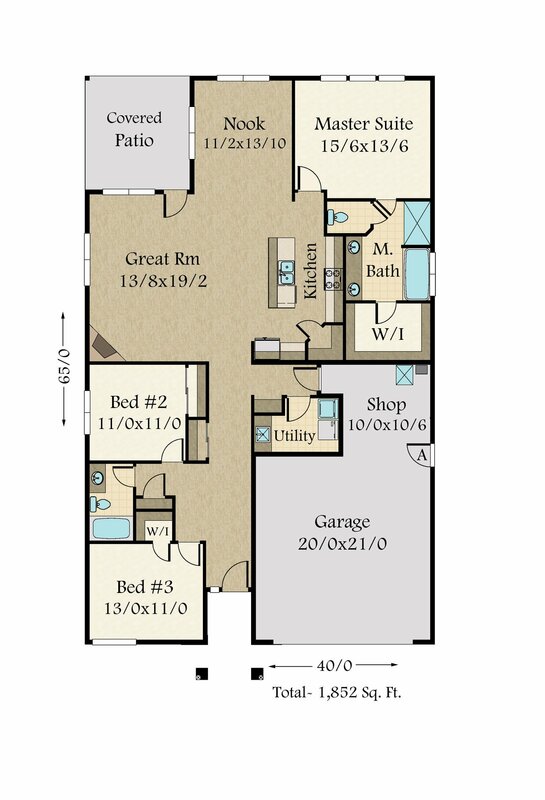 The well thought out design in Markie makes this one of our top selling one story house plans.